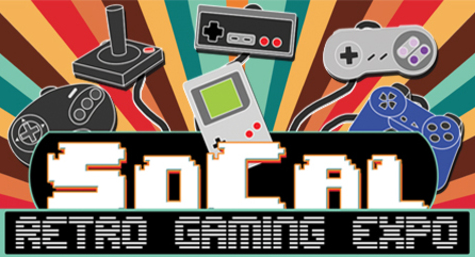 A newer Retro Video Game Expo, California's SoCal Retro is a good medium sized gaming convention with decent attendance with most of the draw being serious game collectors and fans of their numerous YouTube personalities. The first year, the placement of the artists was great because they put us right up near the entrance to the conference room where the panels were at. We did okay, but wasn't sure if it was worth flying all the way out there again. I decided to do it a second year. The convention was alright, a little bigger this year, but the placement of the artists was terrible! They put us WAY in the back behind these stupid curtain things. A lot of people didn't even know we were back there! We didn't do bad, but we didn't do good either. About the same as last year. I feel if we had better visibility, we might have gotten more sales. Still a fun little show to do. Maybe they'll get it right next year. I'll probably give it one more go. Staff had good communication skills and the show is well promoted. I can see this show going places. It's got room to grow.